Designed and manufactured in South Africa to exceed industry standards, setting a new level in quality, flexibility and affordability. 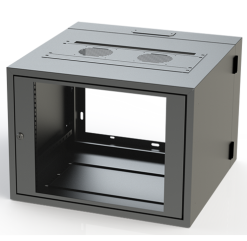 All of the 19″ Rack and Enclosure products manufactured in our 2500 square meter Johannesburg factory to the highest international standards. 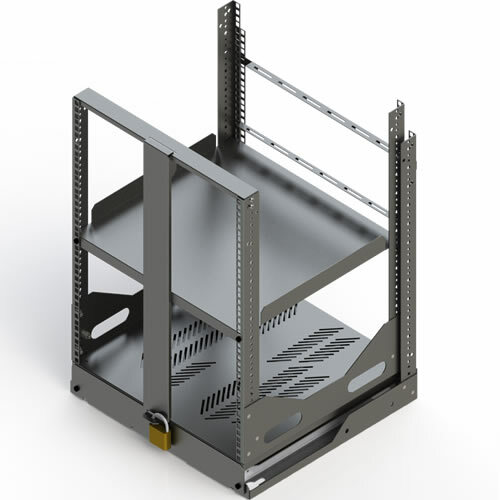 IRFF1 Flat Pack 19 ” Racks are a cost effective solution to 19” Racking for in cabinet audio visual installations and many other applications where cost effective 19 inch equipment installation is required. The flat pack design has been simplified to reduce the total number of assembly parts – this also means transport is more cost effective as well. 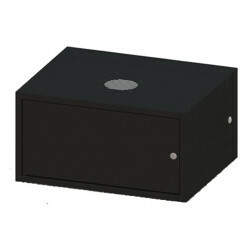 Industry standard 19” design allows for use of standard 19” rack accessories*. Designed for one man to carry and assemble in under 10 minutes using a single flat screw driver. Available in 16U, 20U and 30U. 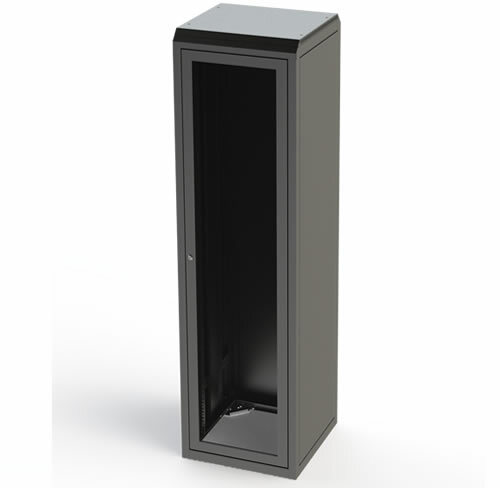 IRZ range of robust 19” racks and accessories for Custom Installers are extendable with a rotating turntable allowing access to the wiring at the back – simplifying installation and ensuring future maintenance or upgrade. Cable management lacing bars are included to allow the wiring loom between the sliding table and fixed rear uprights to besecured. The 4 extension sliders are heavy duty roller bearing type rated at 65kg each to carry the weight of AV receivers and Audio Amplifiers with a total rated weight of 110kg. 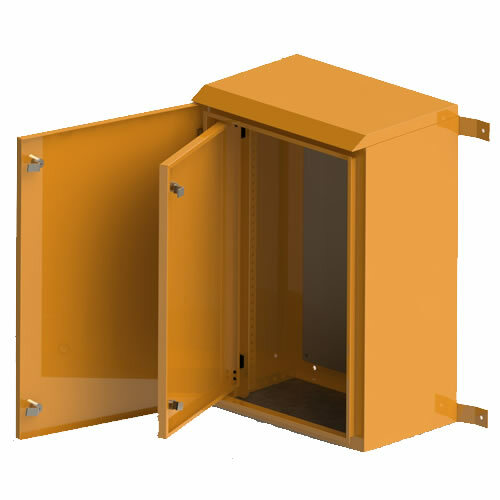 Optional trays have been designed with vertical sides – if the equipment is stacked with the correct tray spacing and an optional anti-theft bracket installed the equipment cannot be removed. The turntable rotation has a spring loaded mechanism to retain the required rotation position – closing the sliding table fully engages the rubber retaining blocks preventing unwanted slide out. 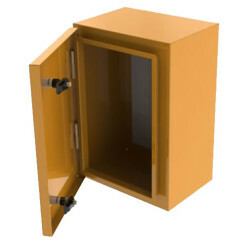 The slide deck also has holes to insert a standard lock for additional security. Standard 19” rack accessories fit the front uprights. 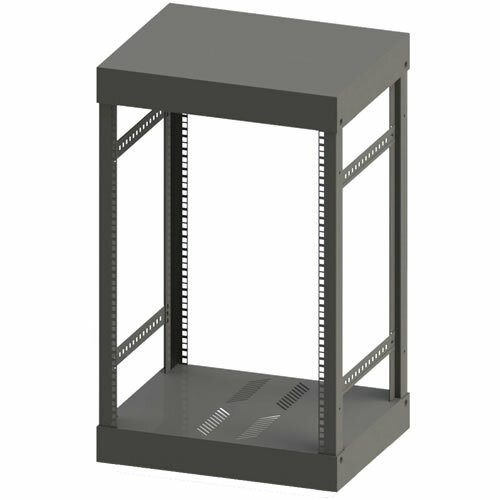 IRFW1 19” Floor Standing Welded Construction Racks have been designed as a turn-key solution to meet industry standards while providing the flexibility required by specific IT and custom AV installations. 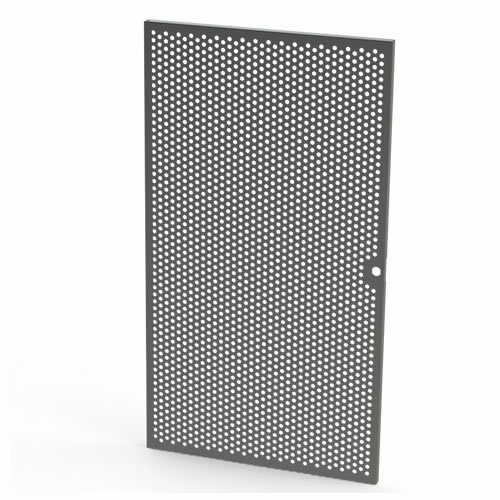 Updated design features allow for reversible left and right opening doors and universal accessory ‘plug-in’ options such as: Fan, Brush, Blanking plate and PDU’s* can be fitted to the rear or front 19” uprights or the top/ bottom 19” profiles. 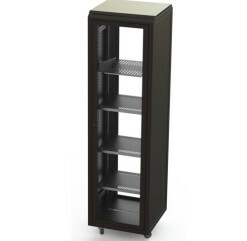 A complete range of 19 inch rack accessories is available to compliment your rack build. Trays from 2U in various depths for front only mount to full depth shelves that require front and rear mount for heavier equipment. 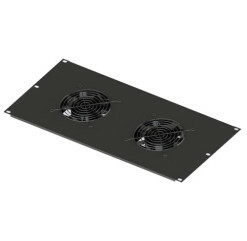 A complete range of both sleeve and bearing fans in various configurations for ventilation management. 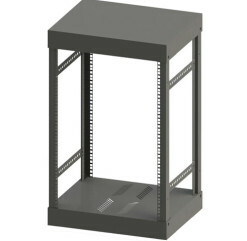 Cable management lacing bars as well as cable trays ensure your installation is neat. Castor wheels, fixed standoffs and floor mount rack bases ensure your rack is correctly placed – no matter what the conditions are. PDU’s that fit a 19inch profile simplify power management.